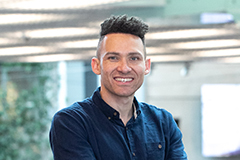 As the marketing manager for two of AUT’s faculties, Stanton Dunn is responsible for promoting a wide range of programmes – from teacher education degrees to PhDs in social sciences. It’s a challenge he full-heartedly embraces. Stanton first joined AUT in 2015, when he returned to New Zealand after volunteering in Namibia for 18 months. AUT is inclusive, Stanton says. 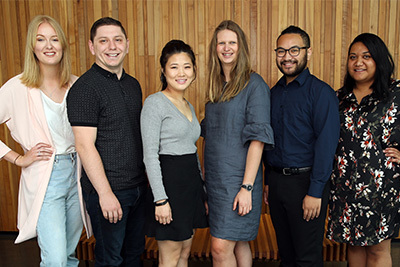 Social clubs and staff network groups are among the many ways AUT staff can meet like-minded colleagues, and Stanton is a member of two of them – the African Staff Network and the Culture Connect committee. “AUT’s African Staff Network runs events for staff, and sometimes students, of African backgrounds. We currently have staff from more than 20 African countries on our mailing list, and it’s great to be able to connect with other staff from similar backgrounds. AUT staff have access to a wide range of opportunities, says Stanton. But career progression is not the only thing that is being nurtured by AUT, says Stanton who just became a father for the first time.